Euphorbia terracina (carnation spurge) is a perennial or biennial species(family Euphorbiaceae) found on California’s south coast. Carnation spurge forms dense patches in disturbed grasslands, coastal bluffs, dunes, salt marshes, riparian areas and oak woodlands. Although carnation spurge was recently introduced to California and is not yet widely distributed, it has the potential to spread rapidly. 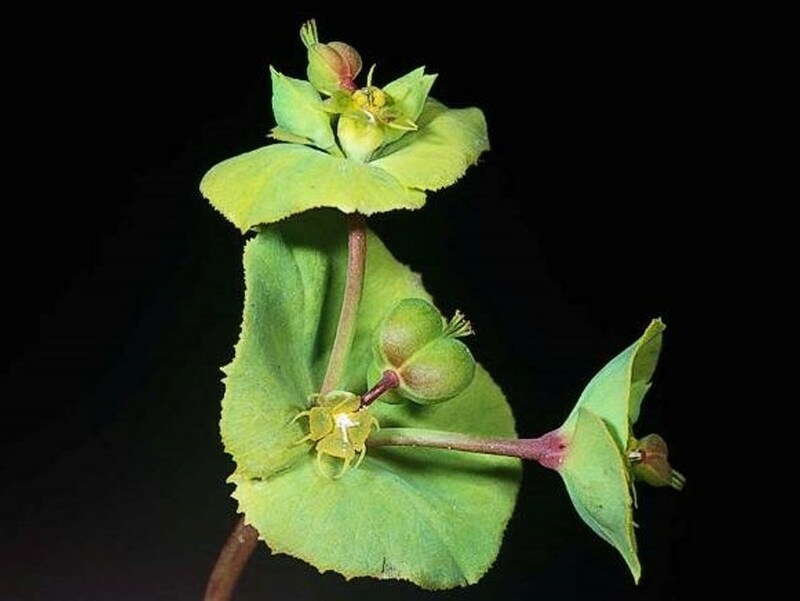 Like many other members of the spurge family, it produces toxic sap, and has allelopathic properties that reduce germination of native plants.